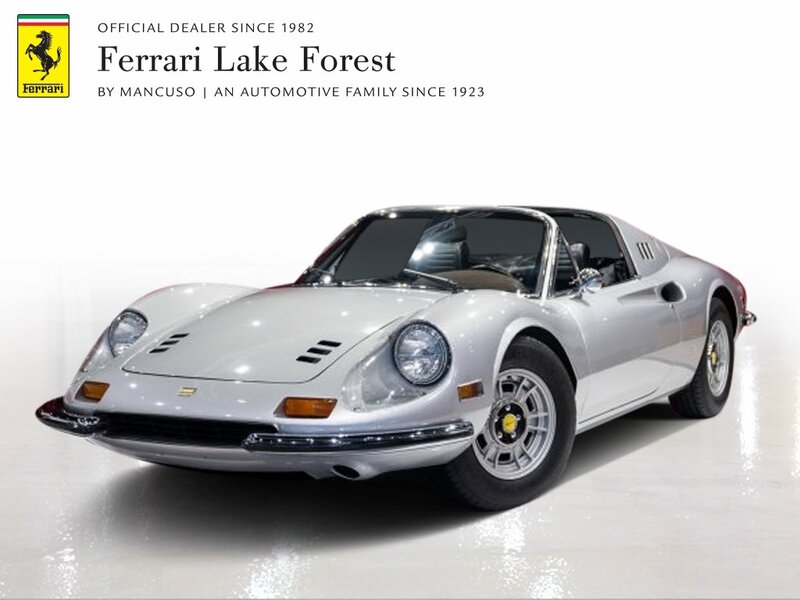 Ferrari Lake Forest is proud to present this absolutely beautiful 1973 Ferrari Dino 246 GTS. The 246 GTS made its debut at the 1972 Geneva Motor Show and reactions were immediately very positive. The styling retained the individual, attractive lines of the 246 GT, with the added advantage of a practical targa top for open-air driving. Finished in Silver Metallic exterior with Black interior and Black removable hardtop, this Dino will provide a wonderful vintage driving experience with great investment potential.